Do you have a puppy or a young dog that is full of energy? You can't leave your dog alone because he / she starts whining of separation anxiety? Or your dog is always begging for another portion of treats? 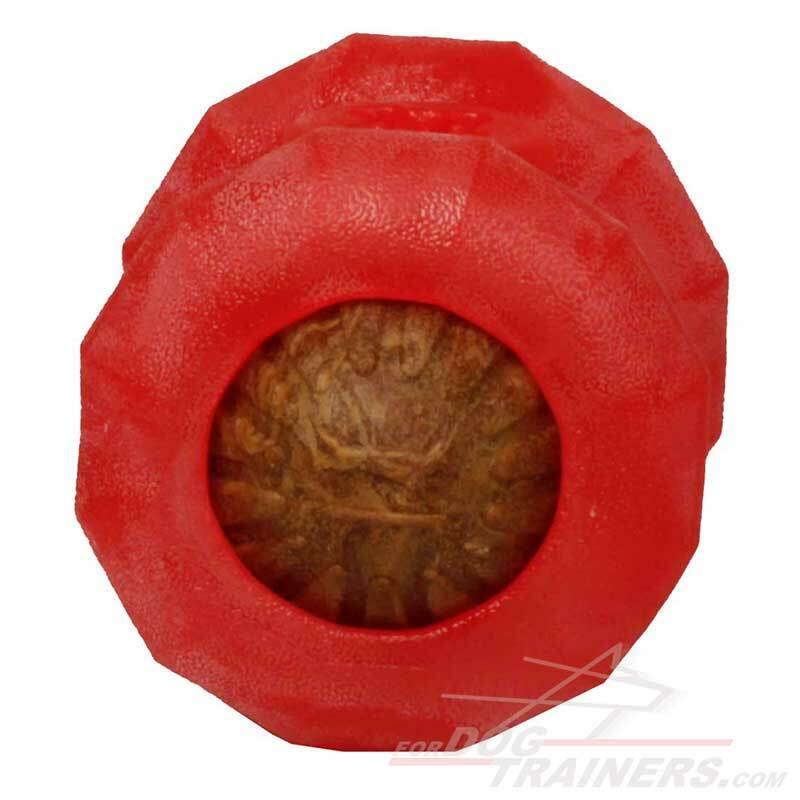 Get this Super Indestructible Treat & Challenge Ball and you will kill two birds with a stone. Just imagine - your dog is involved in a great and challenging game, he / she doesn't beg treats anymore, you don't have to think about your dog's dental hygiene. Special treat inserted into the ball will care about this. This is nearly a magic tool that will last for long and will solve most of your problems or at least will make the life of your pet more interesting and tasty. 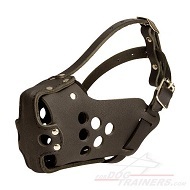 This is a very nice and almost indestructible supply for large dog breeds such as: German Shepherd, Rottweiler, Olde English Bulldog, Cane Corso, Boerboel, American Bulldog, etc. 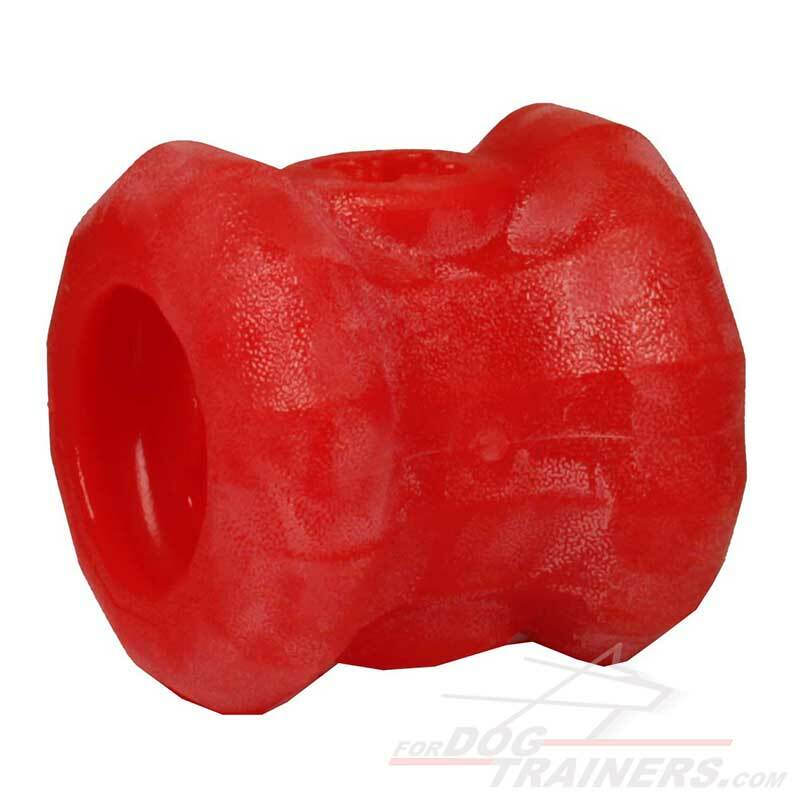 Just insert the Treat insite both sides of the toy and a Super Challenging game is ready for your pet. Very flexible and safe material will allow you to do this easily and won't cause any harm to your dog when he plays with it. You can use both special everlasting treats to insert or just put inside your dog's favorite kibble and let him face the challenge to get them out. Only one simple precautions: pieces smaller than the mouth of your dog may be hazardous and lead to choking. Also, when treats are wet it may stain fabric and upholstery. The proprietary material that is used for the production of this genius dog supply is almost indestructible. Even if it is somehow damaged it won't come apart and tear. 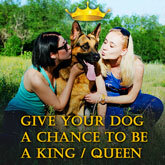 Need your dog to be occupied with some activity? Give him this ball and spend your free time with your friend and relatives. Your dog won't suffer from separation anxiety when playing with this super toy and you will be able to leave your pet for some time with an easy mind. If used on a permanent basis this toy will keep your dog's gums and teeth in a perfect condition and moreover your four-legged friend won't know anything about overnutrition. No need to search for anything else! 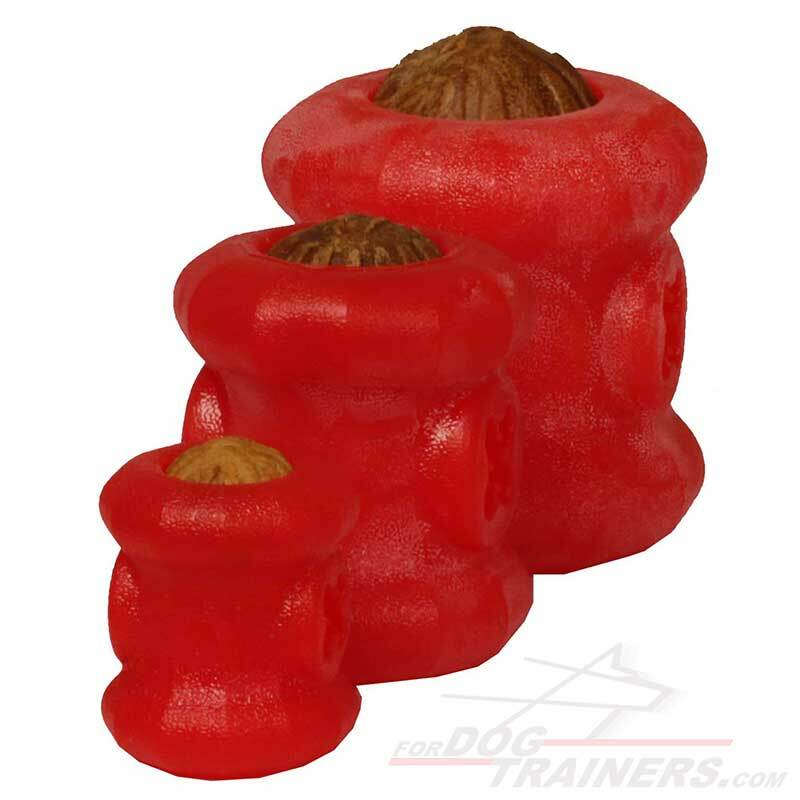 This can be your great purchase and perfect present for your dog! Please be advised that when you order this Super Indestructible Treat & Challenge Ball you get only a toy with one treat. You are welcome to order additional treat from the following page - Chewing Challenge Magic Dog Treat.